Tooth sensitivity has many causes, including enamel erosion, tooth decay, and exposed roots, all of which can lead to serious oral health issues. When tooth sensitivity is caused by exposed roots, your dental health is particularly at risk and treatment should be scheduled. General dentistry treatments can help prevent exposed roots and other underlying causes of tooth sensitivity. To find out which treatments for tooth sensitivity and exposed roots are right for you, schedule a consultation with Woodinville, WA dentists Cristin Dowd and Ken Wu. Exposed roots may be caused by aggressive tooth brushing, which involves using too much pressure or a hard-bristled toothbrush. It can also be caused by trauma to the gums, or most commonly, gum recession. 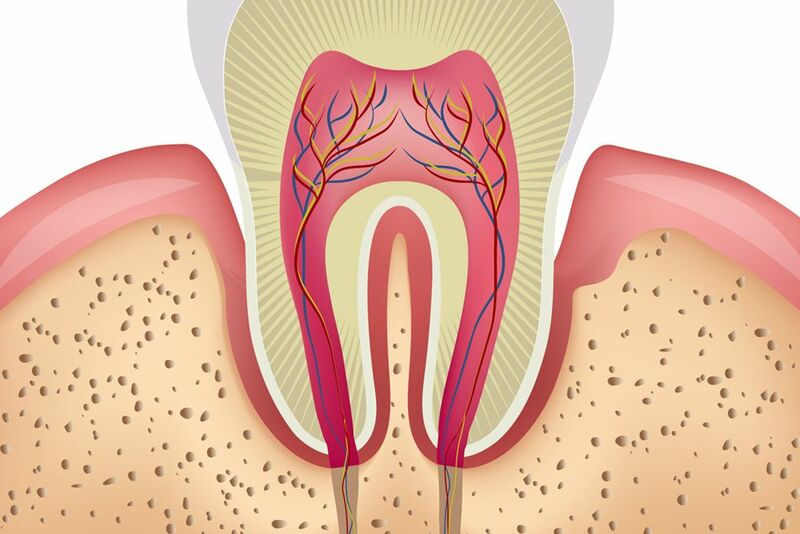 An exposed tooth root caused by gum recession is often the result of gum disease. Gum disease, or periodontal disease, is a bacterial infection caused by plaque and tartar buildup. In the early stages of gum disease, the gums often bleed when brushing and flossing. As gum disease progresses, the gums may continue to bleed but will also pull away from the teeth, causing the gums to recede. If left untreated, the gums may recede to a point where the roots are exposed, resulting in tooth sensitivity. Tooth sensitivity often occurs as a result of exposed tooth roots because the tooth roots house the nerves responsible for tooth sensation. Pedicle graft: Pedicle graft surgery uses gum tissue adjacent to the area of exposed roots. During the pedicle graft procedure, a small flap, called a “pedicle,” is cut into the gum tissue near the treatment area. The pedicle is then pulled across the exposed roots and stitched into place. Free gingival graft: The free gingival graft procedure uses tissue from the roof of the mouth. A small amount of tissue is removed from the upper palate and transferred to the gums and stitched into place to cover the exposed roots. Connective-tissue graft: The connective-tissue graft is performed by taking connective tissue from the roof of the mouth. Connective tissue is obtained by making a small flap in the roof of the mouth to expose the connective tissue layer. A small amount of tissue is removed and grafted to the gums to cover the exposed tooth roots. Maintaining healthy teeth and gums is one of the most effective ways to prevent exposed roots and tooth sensitivity. Practicing regular oral hygiene, like brushing twice a day, flossing once a day, and seeing your dentist for regular checkups and cleanings, can help prevent gum disease and reduce the risk of exposed roots. To learn more about treatment for exposed roots and tooth sensitivity, we invite you to schedule a consultation with Drs. Dowd and Wu.